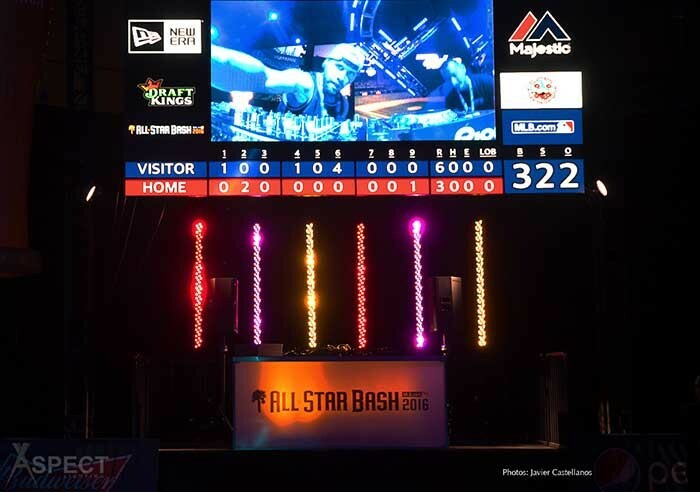 UK – Prior to Major League Baseball’s 2016 All-Star Game on 12th July at Petco Park in San Diego, an All-Star Game FanFest took place the week leading up to the annual Midsummer Classic. 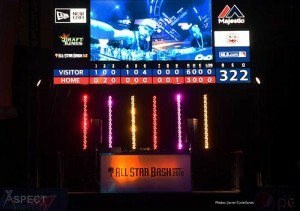 One of the FanFest’s most popular events was the MLB All-Star Bash where top acts Akon, Fall Out Boy and DJ Vice performed beneath a lighting rig that included Platinum Series moving heads, ACL Bar 360 LED effect lights and Colour Chorus Series LED battens from Elation Professional. Held on 10th July at the Sails Pavilion at the San Diego Convention Center, Aspect Lighting of Southern California, managed by owner Sid Khera, supplied the lighting and truss structure for the event. Lighting design was by Phil Shearer of lighting and production design company Shearer Entertainment with Aspect Lighting’s Larry Doerr providing creative design and layout input. Lighting design assistance was from Nick Coauette. 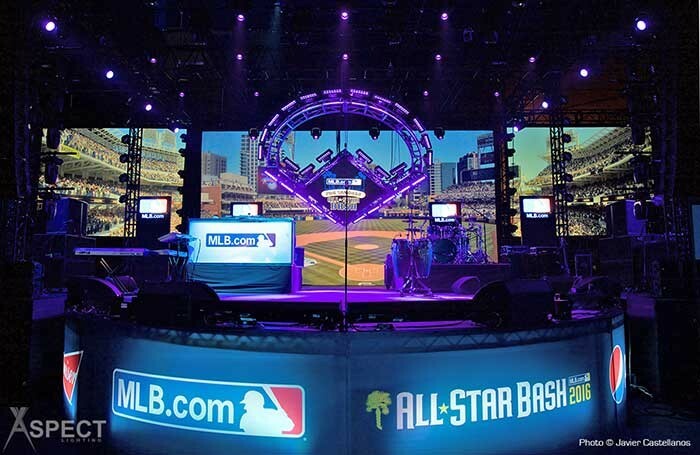 This was Aspect’s first year working the event and with client Living Color Events (Marc Burton technical director, Jake Setser creative director). “It was a lot of work in a short period of time,” Larry Doerr remarked after the event was over. “It was really a big success and worked out well.” The MLB All-Star Bash was produced by Noah Flom of Ark Endeavors.